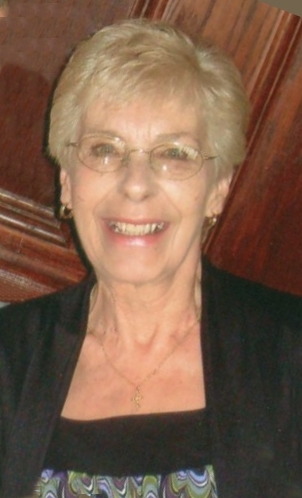 Dianna M. LoCoco, age 71 of Massillon, passed away due to a lengthy illness on Thursday, August 30, 2018 at her residence surrounded by her family. She was born September 9, 1946, in Akron the daughter of Anna (Pugh) and the late Harry Myers. She enjoyed camping, gardening, and most importantly spending her time with her husband, children, and grandchildren. She was a woman who would always put everybody first and will be dearly missed. Dianna is survived by her husband of 48 years, Louis LoCoco Sr.; sons, Louis LoCoco, Jr., Joseph (Jana) LoCoco; daughter, Anna Marie (Mark) Wells; brothers, Jim (Dorothy) Myers, Bob (Elizabeth) Myers; sister, Linda Burleson; and five grandchildren, Tiffany, Hunter, Vendela, Joseph, and Jacob; along with many nieces and nephews. Funeral service will be held on Tuesday, September 4, 2018 at Heitger Funeral Home - Massillon Chapel 639 1st St NE Massillon, at Noon with Rev. Tom Hdil officiating. Calling hours will be held on Tuesday, September 4 at the funeral home prior to the service from 10am to Noon. Burial to follow the service at Rose Hill Memorial Gardens in Massillon.